Creative 360 will host a Yes We Can! Tuesday Tribute honoring actor, dancer and writer Mitzi Clark (82) on Tuesday, April 16, 2-3:30 p.m. Enjoy lively conversation, tea and treats. Admission is $5. Mitzi’s interest in theater began early with dance lessons and “putting on shows” for family and friends, and continues today. 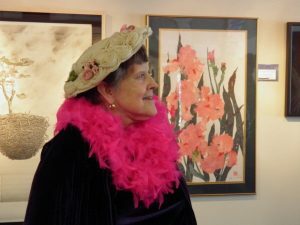 She participates in Golden Guild and Happy Trails senior performance groups. The opportunity to write scripts is what first attracted her to these groups, and she still enjoys the wonderful people they have brought into her life. She also enjoys a creative writing class. Mitzi says fascination with the arts runs deep in her family with a third generation now majoring in music, theater and writing.